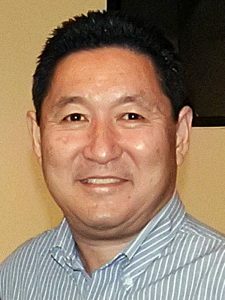 BELLFLOWER — On Nov. 26, the Bellflower City Council unanimously appointed Raymond Y. Hamada to fill the fifth seat on the dais representing District 1, which covers much of north Bellflower. The seat became vacant due to the passing of Councilmember Ronald Joseph “Ron” Schnablegger. Ten residents from District 1 submitted applications to serve on the council with a term ending in December 2020. Nine applicants met the minimum requirements and qualified for consideration. A subcommittee composed of Mayor Ray Dunton and Mayor Pro Tem Sonny R. Santa Ines recommended appointing Hamada and all four council members, including Juan Garza and Dan Koops, voted in favor. They agreed that Hamada’s dedication to the community and experience in the public sector made him an ideal candidate to fill the vacancy. Hamada will be officially sworn in on Monday, Dec. 10, at the Oath of Office Ceremony at Bellflower City Hall. Hamada is a lifetime resident of Bellflower with knowledge of the community, history, values, and vision for the future. He is a product of Bellflower Unified School District who then earned his bachelor’s degree from UCLA, followed by post-baccalaureate coursework at CSU Dominguez Hills. He retired in 2011 with 30 years of both public and private experience in planning, economic development, and city management. Hamada has served on the Bellflower Planning Commission since March 2009 and is an active member of the Bellflower Kiwanis Club, a Bellflower volunteer, and overall community representative.